Grape Harvest is now finished and all Blocks picked and into the winery. It’s time to get among some SOTA summits in the NE region, Quorn is one of my favourite places to stay while activating. 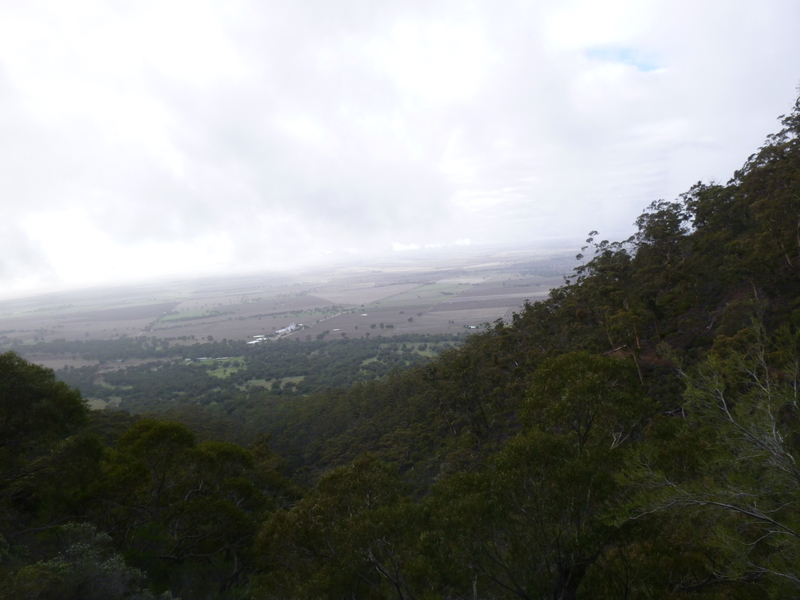 First Summit will be Mt Remarkable VK5/NE-010 an 8 pointer so worth the effort to make the 6 km hike to the summit. 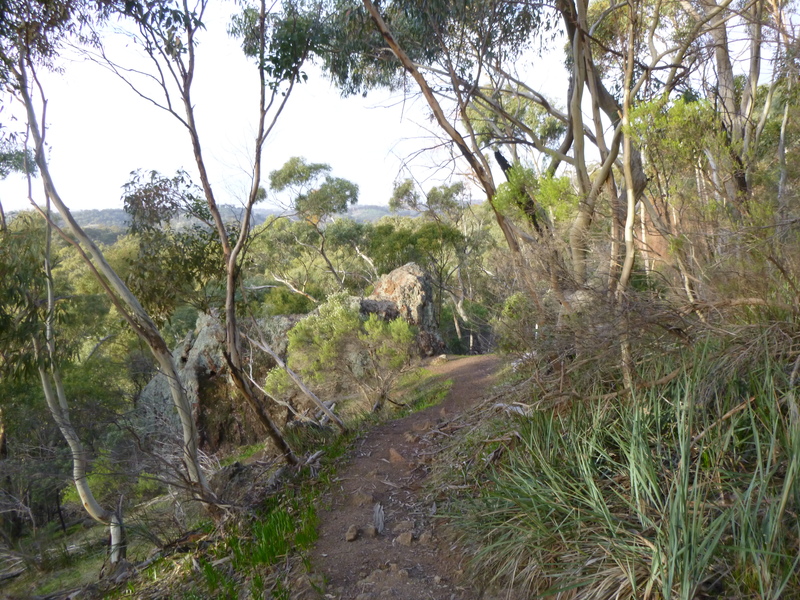 I was looking forward to try the newly made trail which is shorter to the top but it is closed for some reason so I had to do the long hike again. Wot The !! 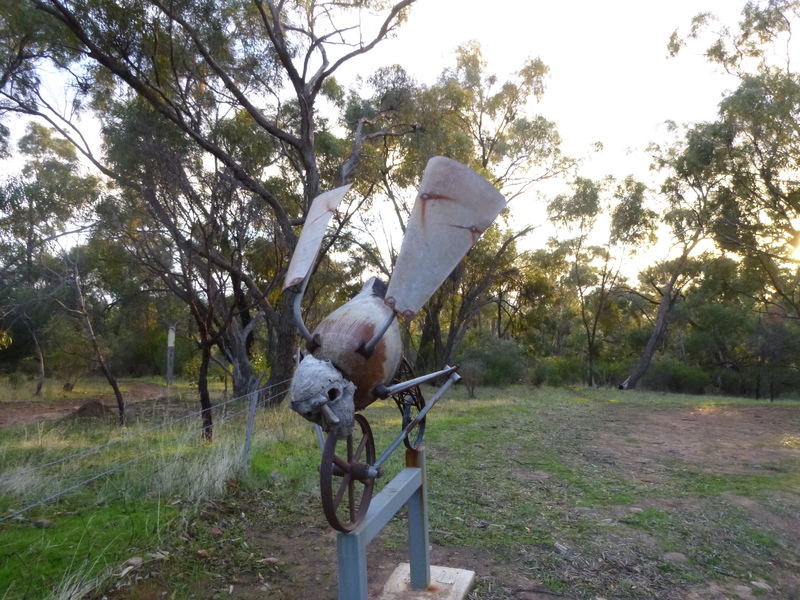 this amazing critter welcomes you at the start of the trail, believe it or not that face is made from a piece of tree knot and the body is also wood, the wings are made from a wind mill propeller . Getting under way nice and early it takes a good 2 hours to make the summit and I made it right on track with 2 hours walking time and about 20 minutes of spell and photo shots. Cathedral Rock is a popular place to visit if you are not on a mission, it is a very large Rock with a hollow cave like centre. Looking out east about half way to the top,cloud is slowly lifting. This was the last photo I was able to take because my New F#####g camera battery died again just like on my last activation. I only charged it the night before so it must be crook and needs replacing Halima is on the case for me. 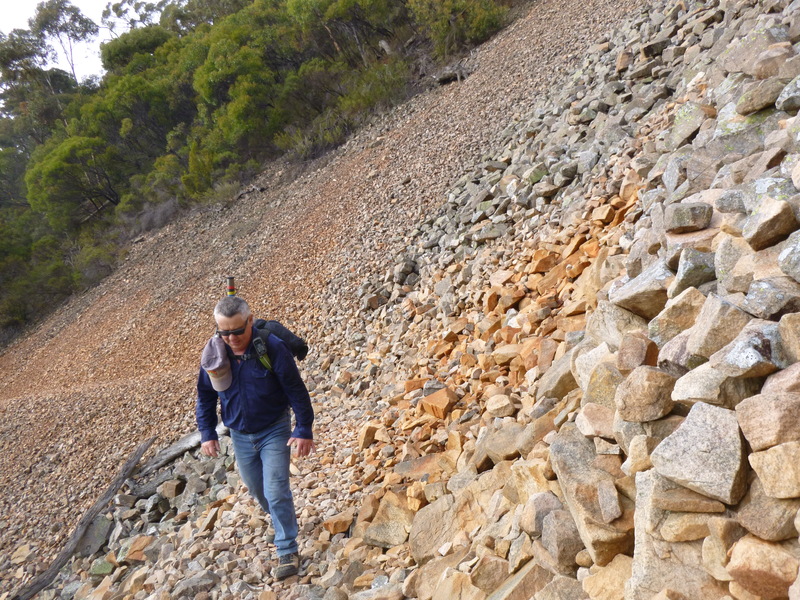 Well my activation started well I set up at the large pile of rocks on the Summit hoping to hear Mot JP1QEC whom I know was activating at the same time. I put up the 15/17m dipole and sure enough lots of Japanese stations were on the bands but no Mot to be found. I worked 3 other JA S2S stations and 4 JA Home stations on 15m CW then ZL1BYZ ZL2RX K0RS and VK5IS . Still no Mot, even though I saw his spots on SOTA watch so not sure why we never crossed paths because he said on FB he worked some DX chasers. It was time to move to 40m to find no NVIS to anywhere so I changed to 3.6 mhz to try to find my local chasers who were having trouble to hear me in their high noise levels on 7 mhz. No room and lots of short bushes on the summit I could just set up the 40/20m dipole. Just for the hell or in desperation I run the 80m extensions out across the top of some of the low bushes no more than a metre off the ground and there they all were at really surprising signal levels. I worked VK5WG VK5IS VK5MBD and VK5NWE with great signal levels. After 15 Qso’s and only one chaser VK3CTM on 40m ssb I packed up and made my way back down to the Ute and headed for Quorn to Recharge everything ready for the next day .